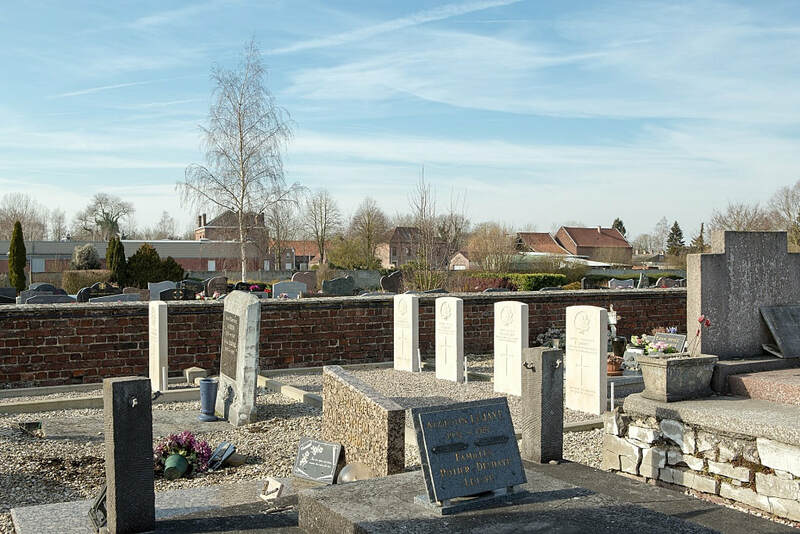 Vicq is a commune some 8 kilometres north-east of Valenciennes. 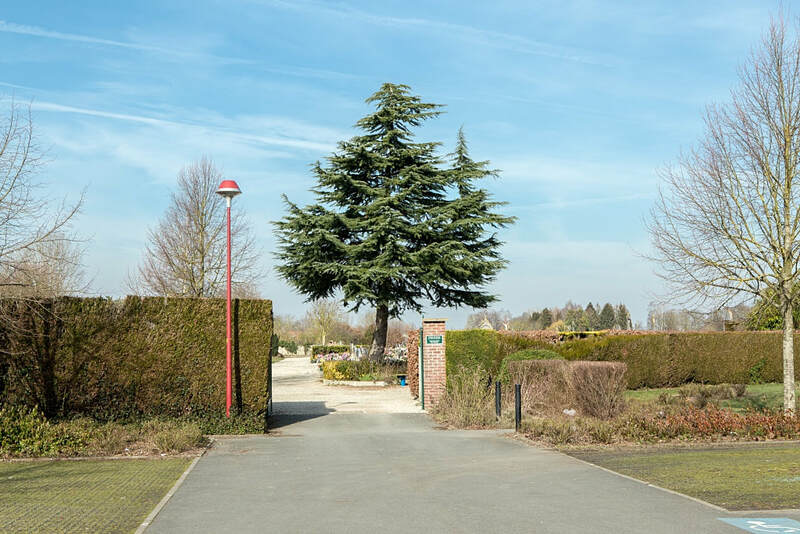 Take the motorway in the direction of Brussels and exit at Condé-sur-Escaut. 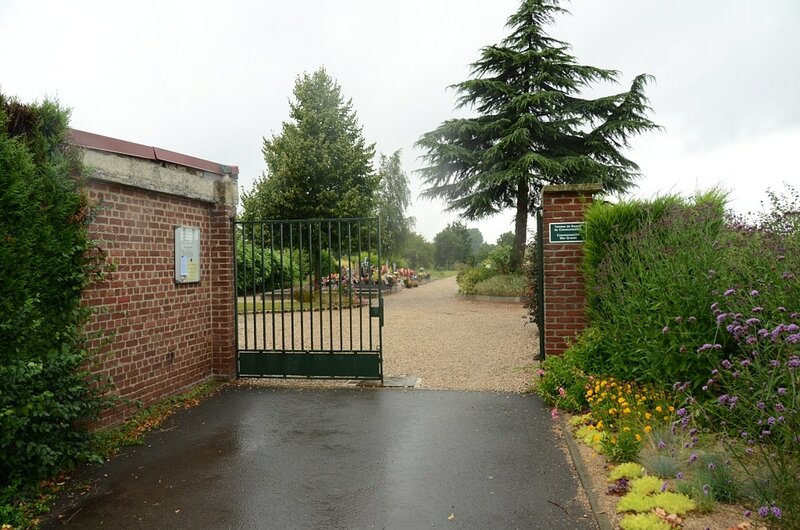 Vicq is 2 kilometres from the motorway. 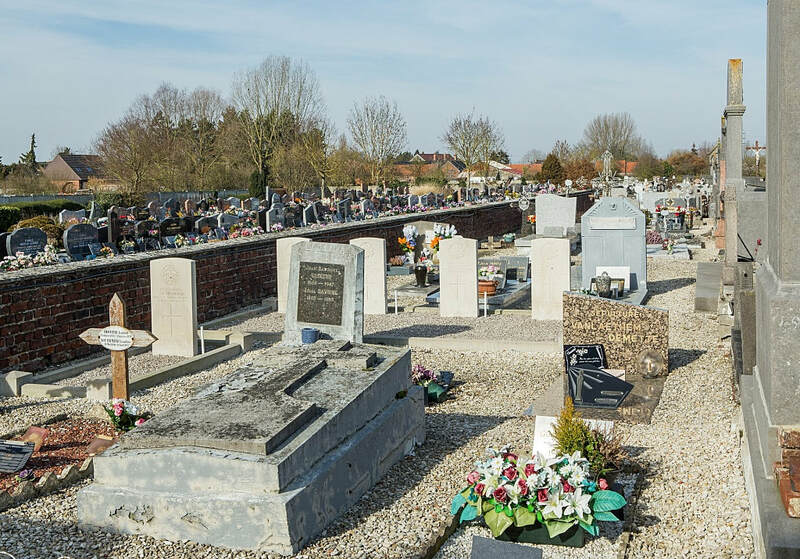 The Communal cemetery is located to the left-hand side of the church. 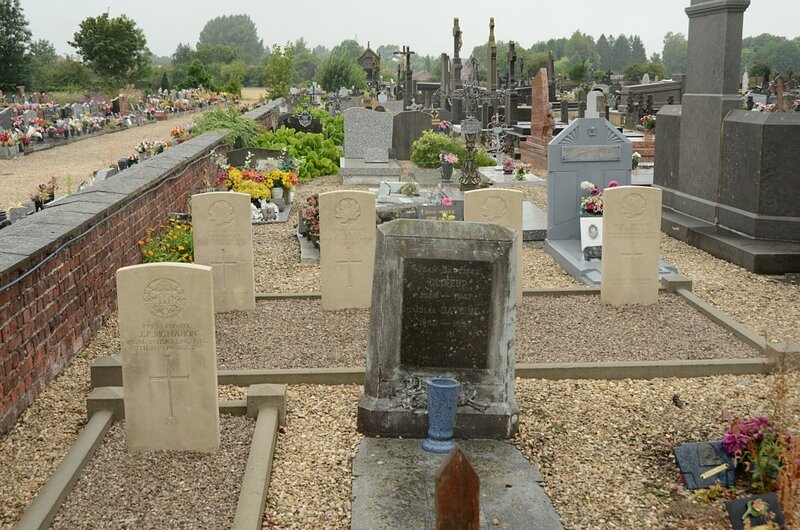 The Commonwealth war graves are situated immediately to the left of the cemetery entrance in the old section (a plot of 4 headstones and a single headstone). 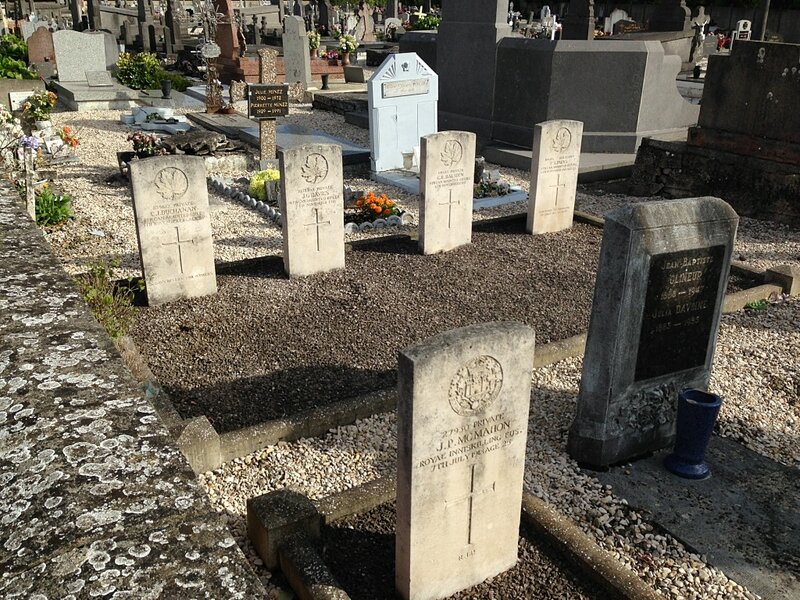 Vicq Communal Cemetery contains five Commonwealth burials of the First World War. 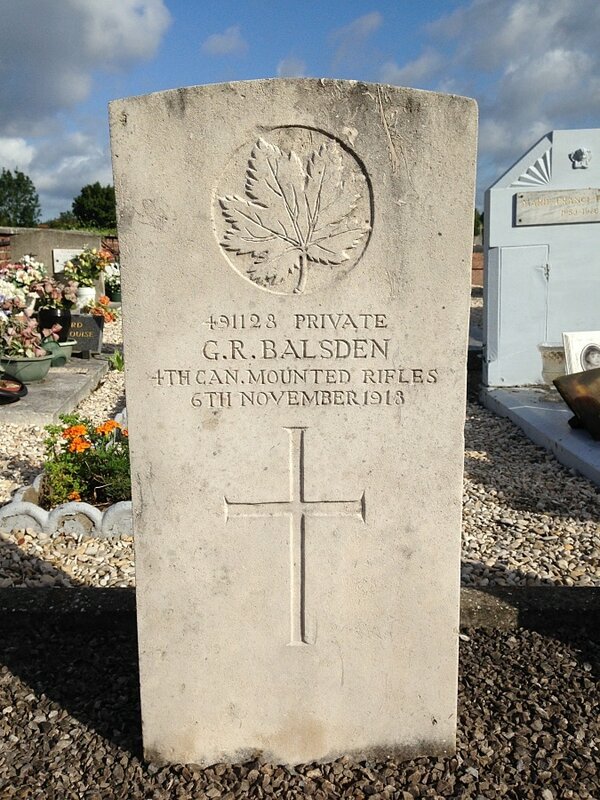 491128 Private G. R. Balsden, 4th Canadian Mounted Rifles Battalion, died 5th November 1918. 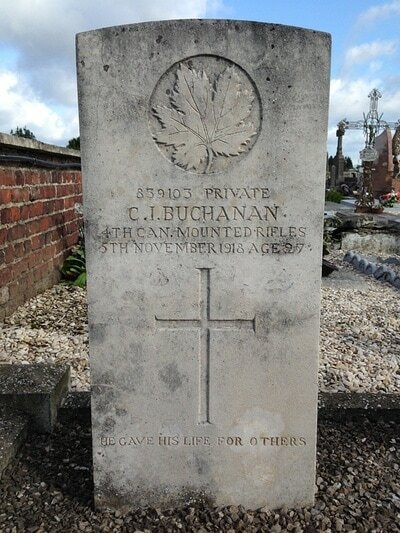 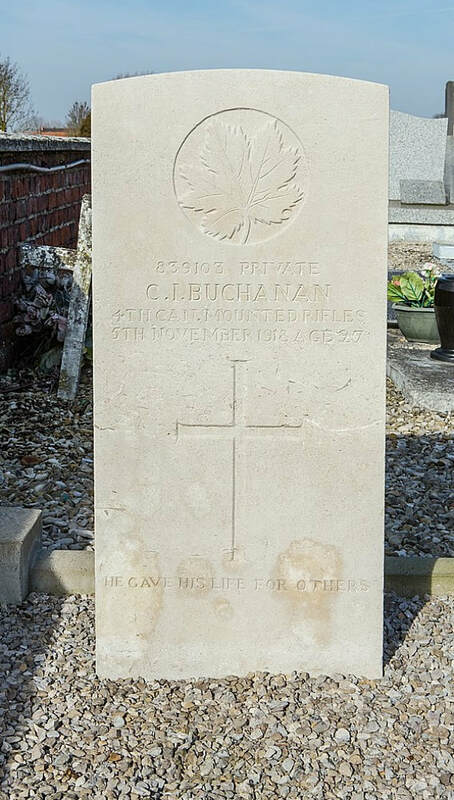 839103 Private C. I. Buchanan, 4th Canadian Mounted Rifles Battalion, died 5th November 1918, aged 27. 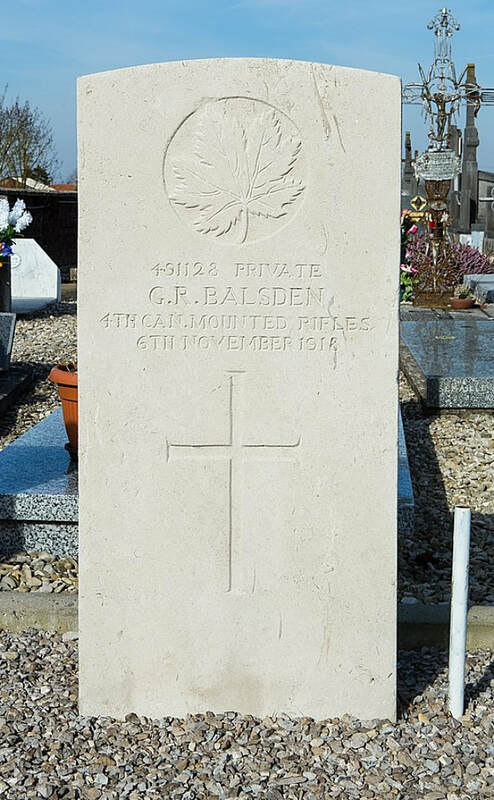 Son of Joseph and Martha Moore Reid Buchanan, of Flesherton, Grey Co., Ontario. 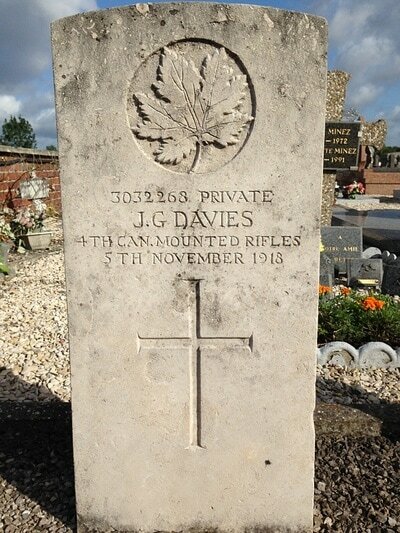 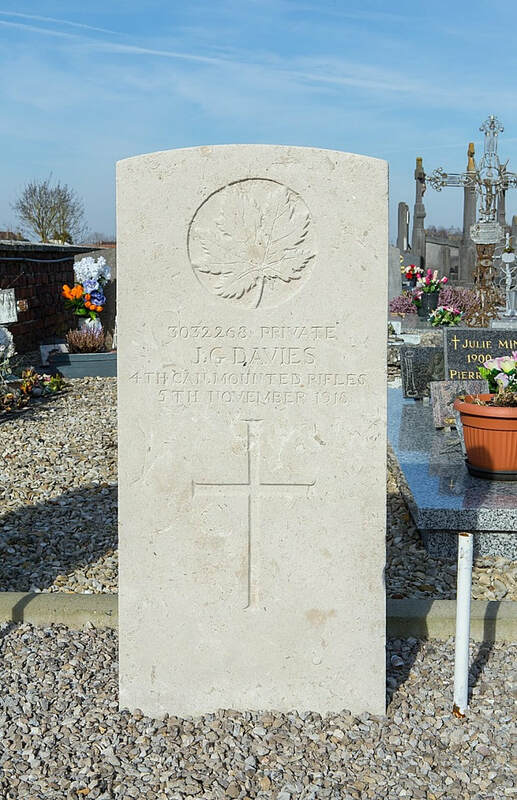 3032268 Private J. G. Davies, 4th Canadian Mounted Rifles Battalion, died 5th November 1918. 27930 Private John P. McMahon, 1st Bn. 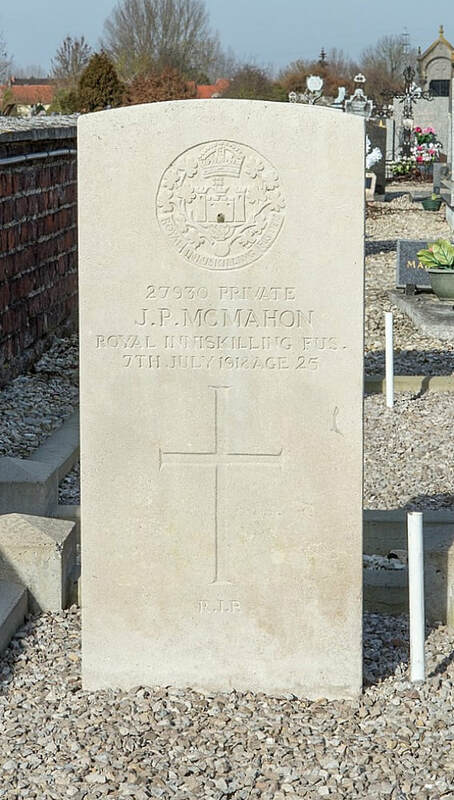 Royal Inniskilling Fusiliers, died 7th July 1918, aged 25. 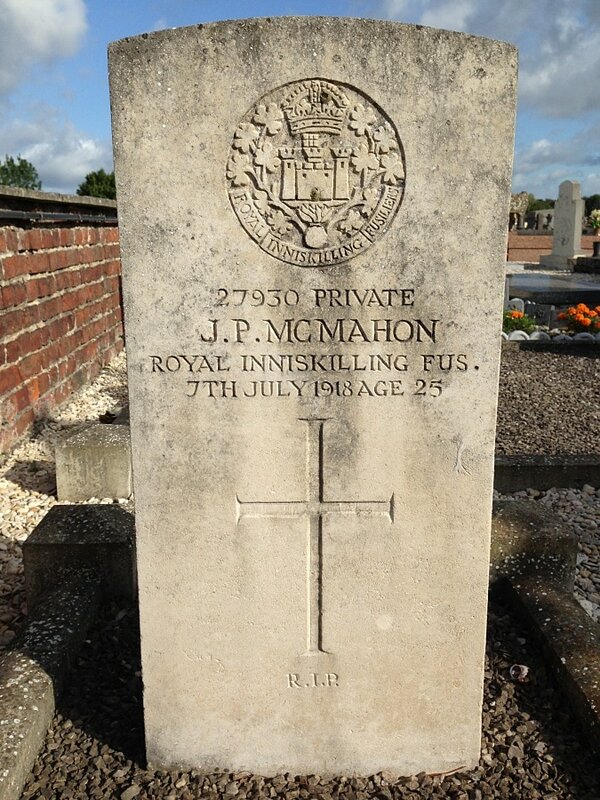 Son of James and Mary McMahon, of 7, Kirk St., Motherwell. 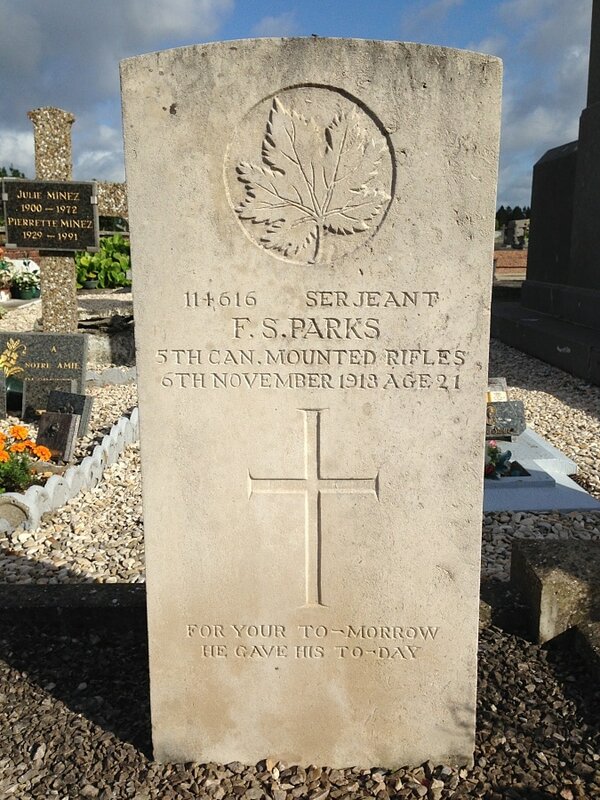 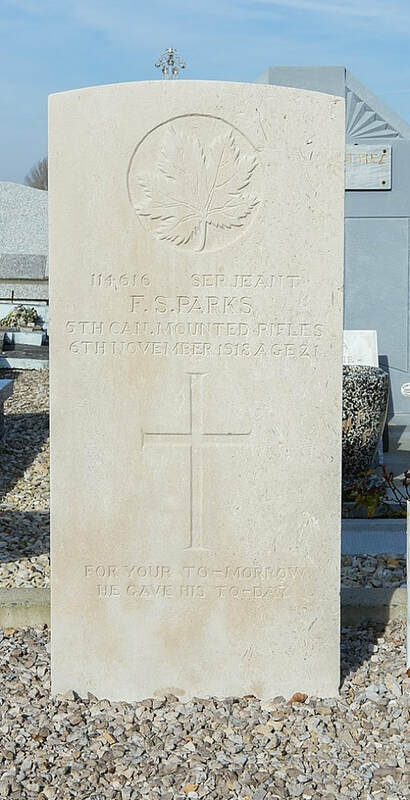 114616 Sergeant Ferdinand Schivera Parks, 5th Canadian Mounted Rifles Battalion, died 6th November 1918, aged 21. Son of Renaldo Gorman Parks and Sabra Adela Parks, of Delisle, Saskatchewan.